As France has just undergone another day of widespread demonstrations, a word keeps popping up, a word that identifies a target of many demonstrators: néoliberalisme. An American observer might be forgiven for thinking that the demonstrators, asking for government intervention in economic matters, would favor “liberal” and updated “neoliberal” policies. This would be a mistake. In one of those twists of linguistic history, the term “liberal” here in France means the opposite of what it means in the U.S. 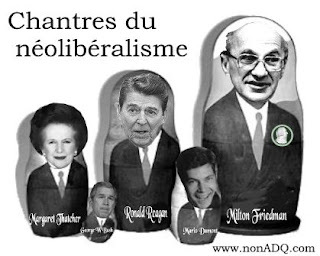 Asked to name a “liberal” politician, French commentators would immediately focus on Ronald Reagan or Margaret Thatcher. Milton Friedman would be the quintessential “liberal” economist. How can the same term indicate such opposites? Tracing its genealogy is helpful. It all starts in the 17th century with thinkers like John Locke and a position technically called “classical liberalism.” Wanting to liberate the newly emergent commercial and urban classes, the “bourgeoisie,” Locke suggested something straightforward: remove restrictions. His guiding image was the freedom enjoyed by humans in what was known as the “state of nature.” This was a time before kings, aristocrats and various political authorities were able to impose rules and regulations. Getting back to what was more natural, removing artificial state restrictions, would restore that freedom which was a birthright. This led to a neat inverse proportionality rule. As state intervention increased, freedom decreased. Locke thus married a desire for reform with a specific agenda for that reform. 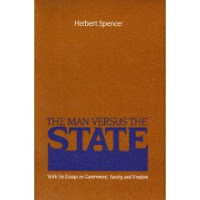 In the 19th century, thinkers like Herbert Spencer allied this liberalism to some elements in Darwinian evolutionary theory, especially the view of life as a struggle for existence. What resulted was “Spencerism,” better known as “Social Darwinism.” The struggle for existence would lead to the survival of the fittest. This would all play itself out naturally. Left alone, the process would ultimately be beneficial. Artificial rules and regulations would only distort the proper functioning of the natural process. In Europe there was no such split within the ranks of liberals. Unlike American reformers whose roots in classical liberalism kept them loyal to capitalism, albeit in a modified form, many European reformers sought more radical solutions. Many of them simply wanted to eliminate liberalism all together, preferring socialist or communist programs on the left and fascist ones on the right. As a result, here in France, the term “liberal” has preserved its 19th century sense. The great depression and the subsequent New Deal programs put an end to classical liberalism as a dominant ideology in the U.S. By the middle of the 20th century, the literary critic Lionel Trilling could even declare that liberalism was not only “the dominant but even the sole intellectual tradition” in America. This was true from the 30s to the 70s. In the 1980s a resurgent economic conservatism (as we call it in the U.S.) took hold. It is this resurgence that came to be identified here as néoliberalisme. 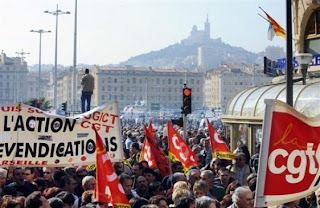 Protesters recently taking to the streets, believing that the current economic crisis marks the end of neoliberalism’s heyday, hope for a return to big government intervention. Back in the U.S. and on a smaller scale, people who urge us to “buy local,” “buy American,” think about our “carbon footprints,” “conserve farmland,” “halt outsourcing of jobs” are most likely to be labeled “liberal.” They could just as easily be labeled “conservative” in its traditional rather than “be friendly to whatever big business wants” meaning. But the many connotations of “conservative” offer another tangled mess.